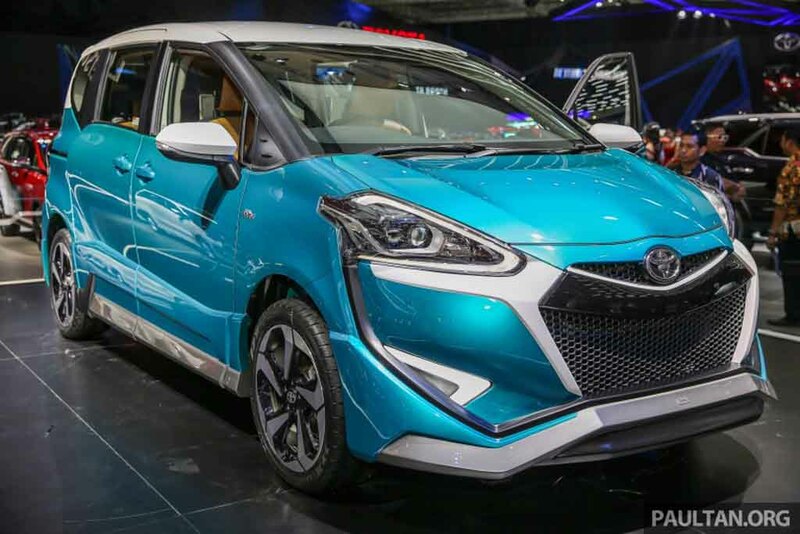 Toyota has unveiled couple of exciting special edition products at the ongoing Gaikindo Indonesia International Auto Show 2017 and one of them is the Sienta Ezzy. Thanks to the extensive modification, the standard compact MPV becomes sharper and more eye-catching. It is not clear, if this cool version of Sienta will make it to showrooms or not. But, there is no doubt that the automaker has been able to grab attention with this model. 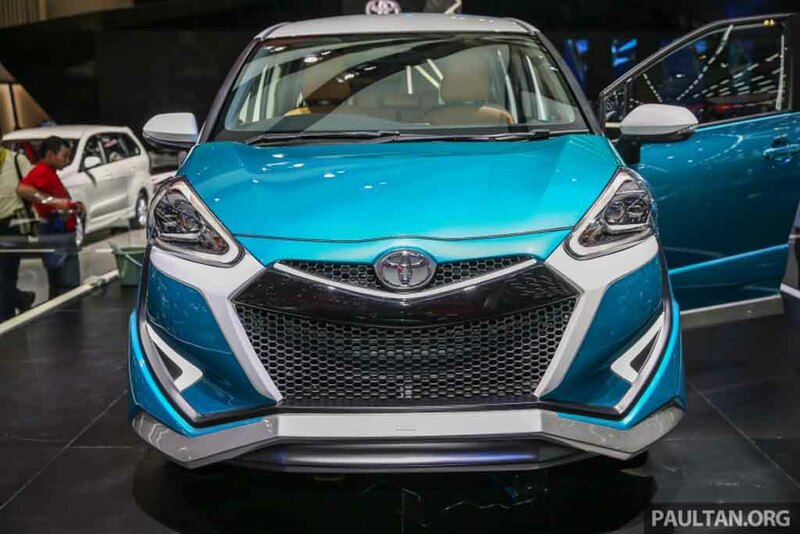 Speaking about its design, the Toyota Sienta Ezzy gets a new hexagonal front grille with bold mesh and a V shaped thick black trim at the top. The sharp headlamps come sporting projector lamps and integrated LED daytime running lights. The white ceramic trims highlighting the headlamps and radiator grille enhance the appeal further. Also, there are sleek black trims running vertically at both ends. The front bumper looks massive and muscular. The lower part of the bumper appears with a giant splitter and it certainly make the bumper very sculpted looking. Moving to the side profile, the Sienta Ezzy gets 17” dual-tone sporty alloy wheels, body coloured cladding, scuff plate, white painted ORVM caps. 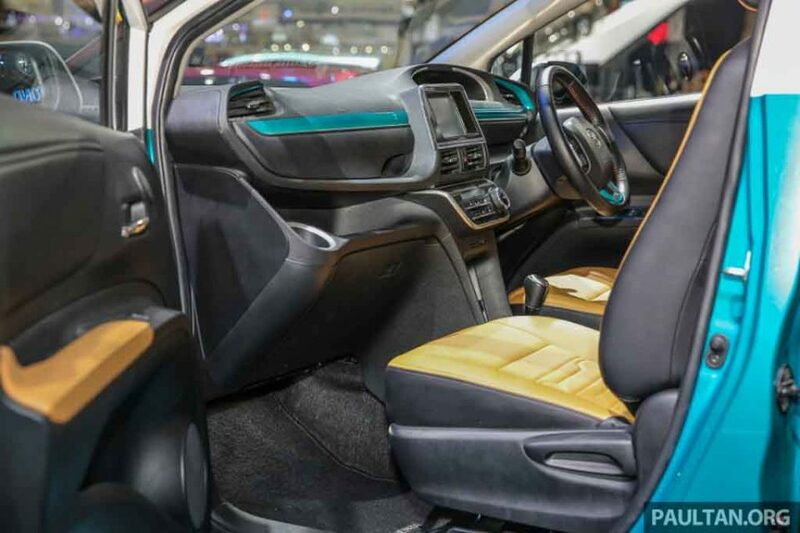 The dual-tone paint scheme enhances the MPV’s appeal further and it also features a floating roof design. 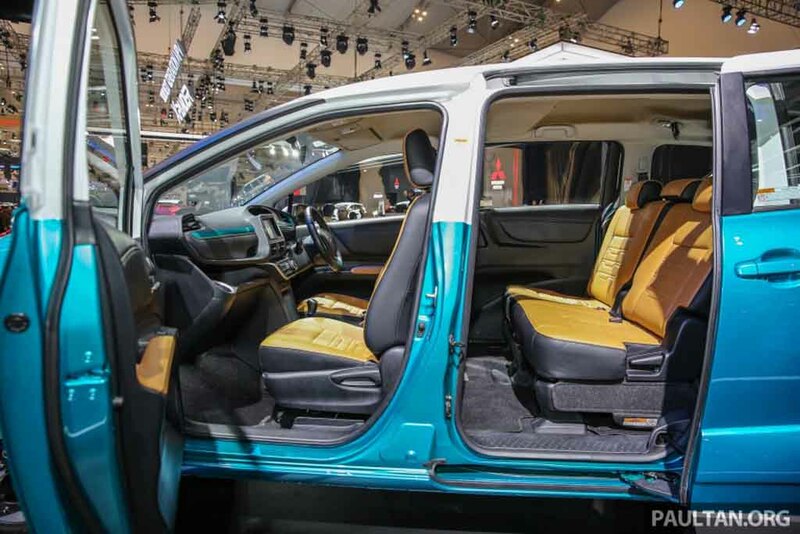 The rear sliding passenger door increases the style further. 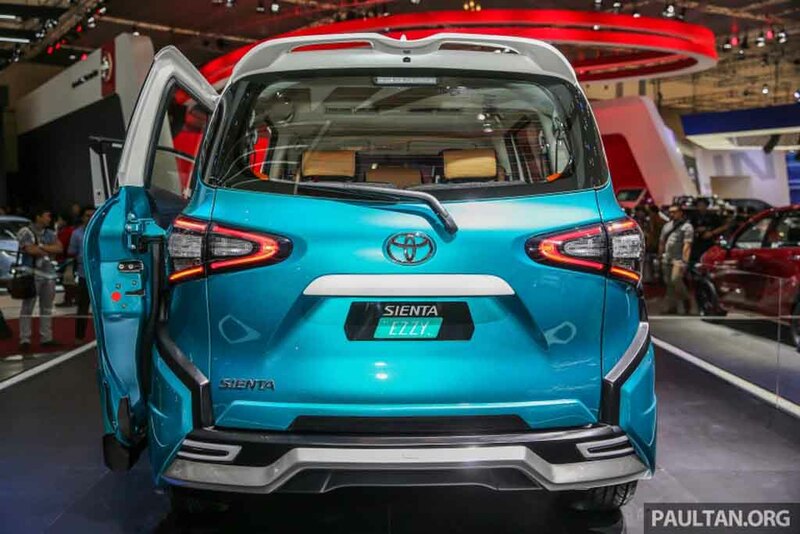 Moving to the rear, Toyota Sienta Ezzy gets wraparound LED taillights, a roof spoiler and a layered and sculpted looking rear bumper. Overall, the MPV appears pretty interesting looking compared to the standard model. Inside the cabin too, it gets a black theme with contrasting yellow seats and red stitch on steering wheel. The dashboard sports a blue trim. Centre console sports a touchscreen infotainment system. The Sienta Ezzy gets the same 1.5-litre dual VVT-I petrol engine under the hood as the stock model. This engine is capable of churning out 107 PS of peak power and 143 Nm of peak torque. Transmission options include a 6-speed manual gearbox and there is a CVT on offer as well.